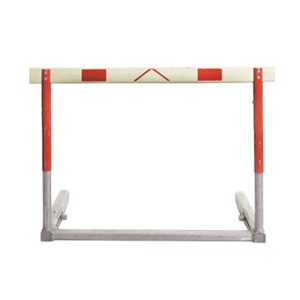 Good law firms identify hurdles. Great ones get them out of your way. In an era of increasing regulatory scrutiny and public resistance, energy companies need every advantage to get projects approved and keep them on track. The law firm of McBrayer has the industry experience and established relationships with regulators to obtain permits and demonstrate compliance with the myriad environmental laws. With offices in Lexington, Louisville, Ashland, and Greenup, we represent utilities and energy development companies in Kentucky and surrounding states. From project siting to defending against the inevitable challenges, we provide comprehensive legal services in the energy production field. Our attorneys have extensive experience facilitating projects for the coal, natural gas and oil industries, as well as hydroelectric, biofuels and other alternative energy sources. We shepherd clients through all permitting stages, including local zoning approvals and construction permits, state-level regulatory compliance and often clearances from federal agencies. Our proactive approach and our government relations presence in Frankfort, Kentucky and Washington, D.C., combined with decades of accumulated knowledge, give our clients the necessary edge in the fight for approval. We help clients satisfy regulators' concerns regarding air pollution, groundwater contamination, waterway diversion, hazardous materials and other environmental issues. We likewise help assure local decision-makers that our clients will be conscientious stewards of the land and the community's health. No matter how thoroughly documented, energy production projects are almost always challenged by officials and/or public advocacy groups. Our lawyers routinely interact with regulators at the Kentucky Public Service Commission, Kentucky State Board on Electric Generation and Transmission Siting, the Kentucky Department of Natural Resources (DNR) and Department of Environmental Protection (DEP), the Army Corp of Engineers, the U.S. Environmental Protection Agency and other agencies. We also work with local agencies in larger cities that have their own air emissions standards. We have successfully defended permitting challenges and alleged noncompliance under the Clean Air Act, Clean Water Act, Surface Mining Control and Reclamation Act (SMCRA), Resource Conservation and Recovery Act (RCRA), and dozens of other state and federal regulations. From zoning and land use to environmental permits, the Kentucky energy industry knows it can count on McBrayer for capable legal advocacy. To speak with our Kentucky permitting and regulatory compliance lawyers contact us online. Energy providers require the assistance of attorneys who have extensive experience navigating the regulatory landscape that governs this industry. The attorneys at the law firm of McBrayer PLLC, have successfully helped major companies achieve their goals and avoid or resolve regulatory issues. We specifically serve coal operators as well as oil and gas companies for all regulatory compliance issues.